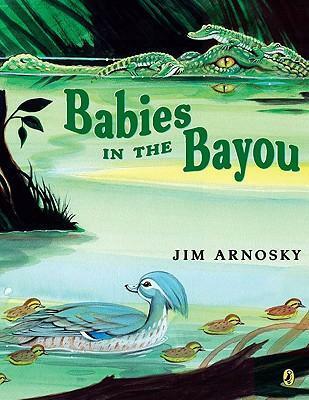 Jim Arnosky is well known for his "keen observations of nature and his fine artistic talent" (School Library Journal). He has written and illustrated many children's books. Otters Under Water was called "first-rate natural history for the youngest" by Kirkus Reviews (pointer review), and School Library Journal wrote that in it "each of his creatures exhibits a distinct individualism." Every Autumn Comes the Bear was called "vibrant, translucent and strikingly composed" by Publishers Weekly, and Booklist wrote "Arnosky's radiant pictures have a dazzling sense of pattern and composition . . . and a sense of mystery. A beautiful, imaginative, and informative approach." School Library Journal said of Rabbits & Raindrops, "Perfect for story-time or lap-time reading, this book will give children a feeling of security and contentment." Jim Arnosky and his family live on a twenty-acre farm in Vermont.